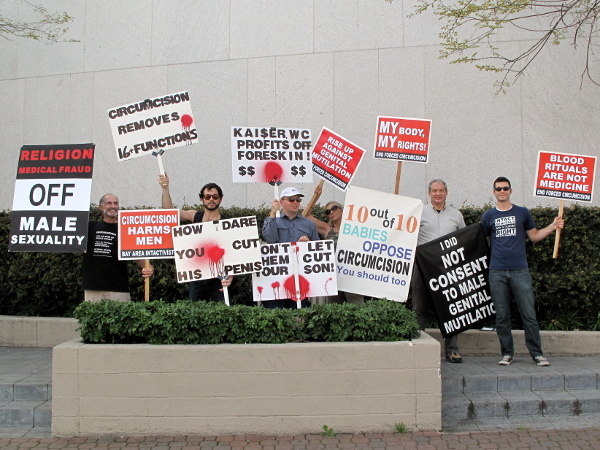 Bay Area Intactivists will hold a peaceful demonstration in Walnut Creek to raise awareness of the damage caused by circumcision and the human right to genital integrity. Those who wish to participate should meet at the intersection of Ygnacio Valley Road and San Carlos Drive in Walnut Creek. There is free parking available nearby at the Heather Farm Park baseball field. Signs and literature to distribute will be provided or you may bring your own.